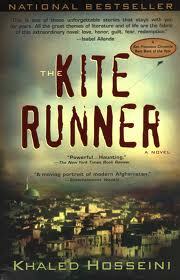 The Kite Runner is one of my most favorite books of all time. It is a captivating book – a book you read and feel connect with the characters. You get attached to the characters so much especially to Hassan, his innocence and unconditional love and respect he had for the “friendship”. As you read along the book, you find yourself living among the characters. The Kite Runner is a story of Friendship between two boys of different social statues. Amir, who was the son of a wealthy man and Hassan who was the son of a servant. The construction of the story is mixture of a friend’s loyalty, love and trust towards the other friend, also the betrayal in the meanwhile. – It is a book based in Afghanistan, a country on the verge of collapse due to the invasion of Soviet Union. While Afghans were trying to fight of the Soviets, many among them were trying to flee the country and Amir was one of those privileged. It is a story of one’s struggle and usage of all means to survival for himself. – This is the story of Amir, whose life has been shaped by a childhood incident. He resides in the United States and feels the guilt of betrayal of friendship deep down in his heart. His guilt led him back to his home country, Afghanistan, with hope to correct the damage once done when he stayed silent upon witnessing his childhood friend, Hassan, who turned out to be his half-brother, being attacked and brutalized. Amir tried to redeem himself by traveling back to the home country. It was very unsafe and dangerous to travel to Afghanistan at that war time, but he did not care for any danger he would face. Upon reaching Afghanistan, he found out about the death of Hassan and that his son was living in an orphanage. He got a second chance to make things right after so many years, and did not let go of it, this time he wouldn’t let anything bad happen to Hassan’s son. He brought Hassan’s son with him to the United States and made him a part of his family. – Without any doubt this is a story of tremendous amount of twists and turns. Once you get started with the book, there is no way you can think of anything else then completing the book and to know more. You feel angry at some characters but feel sorry and their pain in your heart too. At times you will even cry for them as if you have been witnessing the pains and sufferings they were going through by living between them. Once when you are done with the book, you feel like you didn’t want the book to end. – I would recommend this book to all of you. If you want to read a good book, this is the right book for you. You got to read this book and are definitely going to love it.